The Virginia-class is a Rank III American submarine with a battle rating of 4.7. It was introduced in Update 1.77 as part of Silent Thunder test run from March 31st to April 3rd. The Virginia-class submarine in Silent Thunder is based on the lead ship of its class: The «Virginia» (SSN-774), laid down in 1999 and commissioned in 2004. After the end of the Cold War, the objectives for the US underwater fleet were no longer the same. 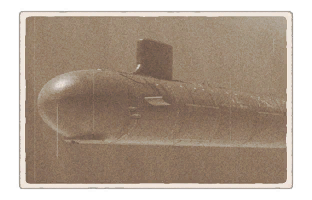 The next-gen sub was expected to carry out a wider range of tasks at a lower project cost. In order to replace the Seawolf-class nuclear missile platforms of the Cold War era, the American engineers began working on a new, multipurpose nuclear submarine with a modular build – this way the vessel would be easier to modernize and refit with a different set of weapons and other equipment. In 2004, the lead boat of the SSN-774 Virginia project was introduced to the United States Naval fleet. This submarine has a number of features that set her apart from her predecessors: a reduced displacement, a new “onetime” nuclear reactor that doesn’t require recharging or maintenance throughout the sub’s entire service life, a brand new sonar system, and a lighter yet more versatile weapon. The special covering on the boat’s skin, advanced propulsion system and enhanced engine, as well as isolated deck structures make the Virginia incredibly stealthy. Interestingly, the boat can be fit with a manned underwater vehicle that can be used for landing operations and sabotage – up to 9 members of the special forces can board the Virginia according to her staff roster. This page was last edited on 30 January 2019, at 05:33.